Having a luxury bathroom installed can be costly for many, but when done correctly, it’s an investment that repays dividends. It’s true that you can buy a lot of cheaper sanitary ware and bathroom furniture online without having to break the bank. While they might look good for a short while, with the wear and tear of everyday use, your low-cost vanity unit or WC will soon start to warp or peel due to its sub-standard quality. Where bathroom furniture is concerned, it’s always good to invest in names you can trust, such as Villeroy and Boch or Hansgrohe. They may carry a heftier price tag than other low-end items, but these products have usually been manufactured to the highest standard by a workforce that care about the reputation of the brand. Many of them come with thirty to sixty year guarantees, meaning that you’ll have a bathroom that you can enjoy for almost half a lifetime. You’ve chosen the high-end bathroom furniture so now you definitely have to choose the high-end tradesmen to install it. 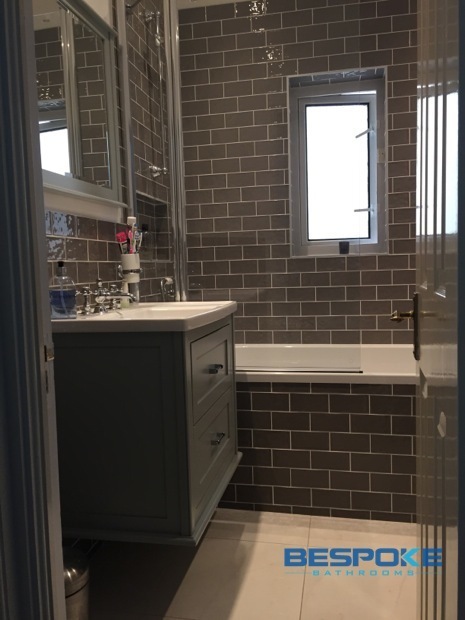 Here at Bespoke Bathrooms, we take great pride in our work and we employ only the most skilled and knowledgeable tradesmen to install your luxury bathroom. Attention to detail is the name of the game, and it’s this attitude, which makes our service so unique. Our highly-skilled contractors will never cut corners in order to get a job finished, but will work efficiently and expertly to deliver you a polished and high class finish. This kind of careful planning means that your investment will last and last. If you have any more questions or queries regarding luxury bathroom installation, please don’t hesitate to call us today!